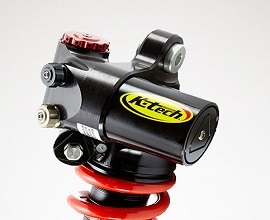 Motorcycle Shocks For Road and Race From K-Tech Suspension. 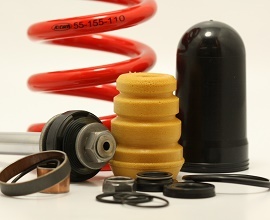 Reactive Suspension offer a wide range of replacement motorcycle shock absorbers and spare parts as well as carrying out shock servicing and re-valves on most brands of shock. Most standard shocks have a whole catalogue of fundamental faults. They are built down to a price with loose tolerances suited to mass production. The biggest fault with stock shocks is fade. The loose tolerances and poor build quality result in a shock that will fade quickly with heat. Spending money on a stock shock to try to rectify the damping problems and fitting a spring matched to your weight does not offer good value for money. Any improvements will be negated once the shock has faded. Replacing the shock with a good quality aftermarket item is the only sensible option. Good quality aftermarket shocks are built to much tighter tolerances with higher specification materials. Most manufacturers use compensation devices built in to the design to reduce fade. 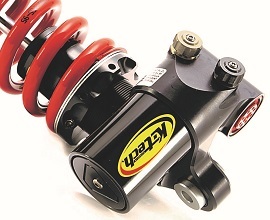 We can supply shocks from K-Tech and Hyperpro, custom built to your requirements. The damping and spring rates are chosen to match your weight and how you ride. Riders who want a lower seat height can order shocks shorter than stock to lower the seat height of the bike. The K-Tech DDS ‘Pro’ rear shock has been designed for use at the highest level of racing and developed in major championships around the world. As expected from a high quality racing product, the DDS ‘Pro’ features compression and rebound damping adjustment, length adjustment and hydraulic spring preload adjustment. It also features a unique ByPass Valve adjuster which controls both compression and rebound damping adjustment to assist with chassis control at low velocity shock movements, enhancing tyre feel and grip. The DDS system uses a smaller piston rod which keeps the system more stable over a wider temperature range due to its small displacement. • Can be upgraded to ‘Pro’ spec. 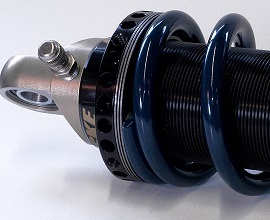 The 4014 Emulsion shock was WP's entry level shock for touring and commuting use. The Fusion and Spin shocks have a reservoir with adjusters for both high-and low-speed compression damping. Whilst the shock is now no longer in production, genuine service parts for WP 4014 Emulsion, Fusion and Spin shocks are held in stock. Regular servicing will keep your shock working at it’s optimum performance. 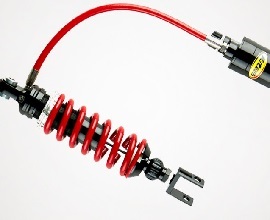 The shock can be re-valved to suit the rider whether that be for better bump compliance or more spirited riding. Some non service parts are available to order, please contact us for details. 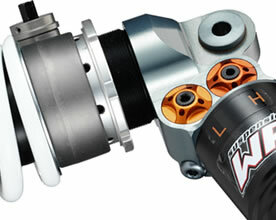 The 4618 Competition Shock is WP Suspension's race focused shock. Designed for outright grip and performance. Genuine service parts for WP 4618 shocks are held in stock. The shock can be re-valved to make it more suited to road use or for specific rider needs for race use. Non service parts are also available to order. 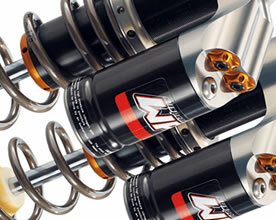 Genuine service parts for WP Twin shocks are held in stock. Regular servicing will keep your shocks working at their optimum performance. These shocks are no longer in production, but a limited amount of non service parts are available to order. 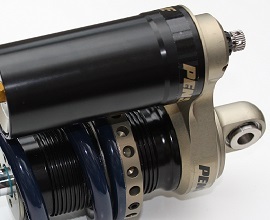 The Sport Shock is Penske Racing Shocks entry level shock. Genuine service parts for Penske Sport Shocks are held in stock. Regular servicing will keep your shock working at it’s optimum performance. 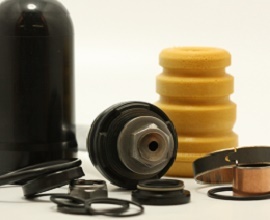 The sport shock can be upgraded to an 8983 or 8987 by having the applicable reservoir installed. Non service parts are available to order. 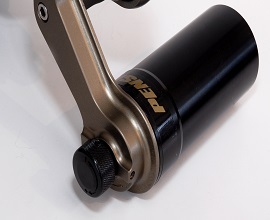 The 8983 is Penske Shock suited to road and trackday use with the compression adjuster offering a wider range of tuning potential. Genuine service parts for the Penske 8983 shocks are held in stock. 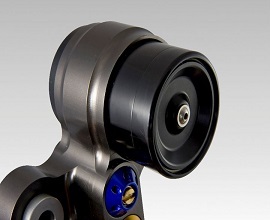 The 8987 is Penske's track focused shock offering high and low speed compression adjustment. Genuine service parts for the Penske 8987 shocks are held in stock. 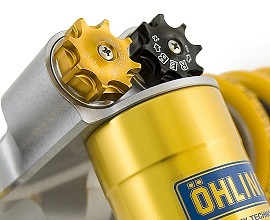 The S46 DR1 is Ohlins entry level shock. 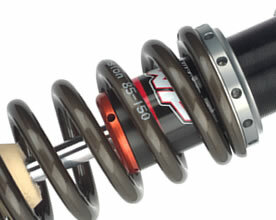 Unlike many other entry level shocks the shock has an internal floating piston for more consistent damping. Genuine service parts for Ohlins shocks are in held stock. Regular servicing will keep the shock working at it’s optimum performance. The S46 HRC and PRC shocks have a reservoir with compression adjustment. 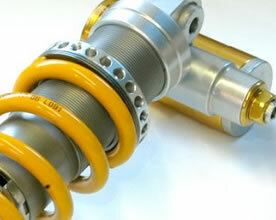 Genuine service parts for Ohlins shocks are held in stock. 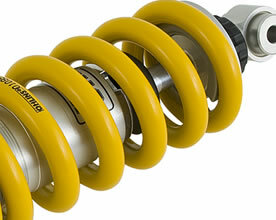 The TTX shock is Ohlins track focused shock suitable for racing and trackdays. Genuine service parts for Ohlins shocks are held in stock. Regular servicing will keep the shock working at it’s optimum performance. Genuine service parts for Hyperpro shocks are held in stock. Regular servicing will keep the shock working at it’s optimum performance. Genuine service parts for K-Tech shocks are held in stock. Regular servicing will keep the shock working at it’s optimum performance. Genuine service parts for Kayaba and Showa shocks are held in stock. Regular servicing will keep the shock working at it’s optimum performance.